My husband and I were sitting outside tonight looking at and old dead tree that sits just inside of the woods line in our backyard. The tree has been dead for as many years as we have lived in our house which is a little over 16 years. Over the years the tree has changed a lot because gradually most of it’s branches have fallen off with the addition of within this past week a huge branch fell off leaving a big hole in place of where it had been. We were sitting there looking at the tree and talking about how cool it looks because there are knots all over it and some of them look like faces stacked on top of one another. We also noticed that right at the top of the tree there is an area that looks like a crocodile head. As we were discussing the different things we each saw on the tree suddenly we noticed something that we hadn’t noticed before…. 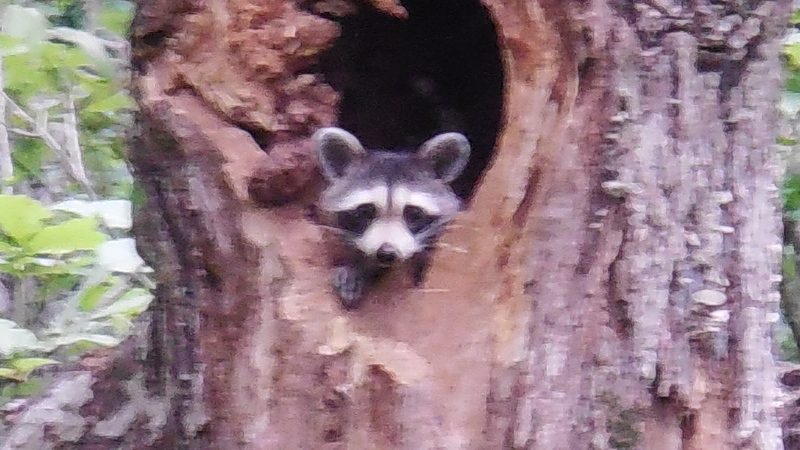 There in the hole was a raccoon and now he was checking us out as we checked him out. 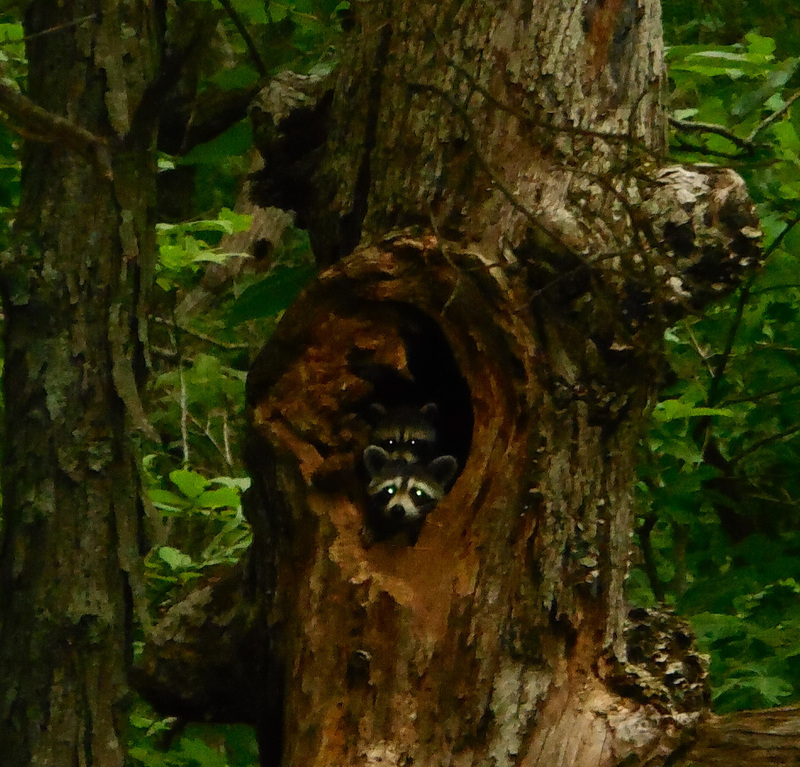 Eventually we realized there was more than one raccoon and it seems there could possibly be a whole family of raccoon’s living inside of our dead tree. 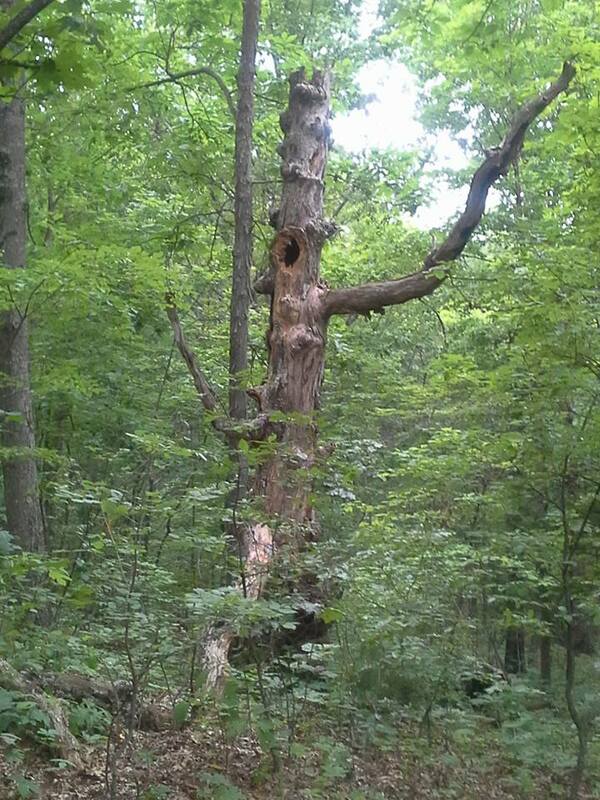 What looked to us to be and old dead tree on the outside, actually was full of life on the inside. Such a lovely story and so applicable to our lives. There is still life as we grow older and our bodies change and age as long as God lives in us. Such great pictures too! Yes you are right and actually I have been thinking about maybe doing a post about that too. That tree and those raccoons really got me to thinking about a lot of things like that last night. Thank you so much for reading and for your thoughts! I think you’re still pretty young. As we grow older some of these things finally make sense to us. God is alive in us and renews us even in our down times. Reminds me of the verse that says outwardly we are wasting away but inwardly we are being renewed day by day! Love these little random moments God gives us to remind us of His promises! Yes you are right it does remind me of that verse too! Thanks! That’s what I say about my sweet 2 year old grandson lol he is so cute and sooo mischievous lol. That is funny, and so cute. I’m surprised you have such huge tree in your garden, you must live in a woodland type area. Not like in UK. Am I right.? Lovely pictures. Yes you are right I do live in a wooded type area. Our house sits on a little over 4 acres which most of are wooded. 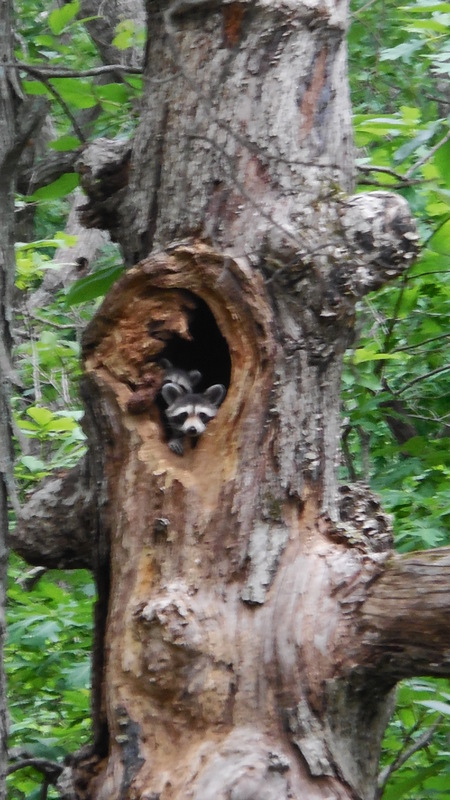 We see a lot of wildlife in our yard. It is a very nice place to live if you like nature, which I do.